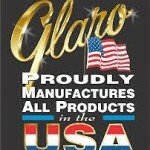 Many American manufacturers such as Glaro Inc. prefer to use metal materials such as aluminum and steel to fabricate receptacles. While steel is a lower cost material in general, aluminum is considered to have superior properties. Aluminum provides a sleeker, more vivid appearance than stainless steel does. Aluminum, with a satin finish applied, reflects light better than steel does and therefore creates a soft, bright, glowing finish that many designers favor. Especially when aluminum receptacles receive a high temperature clear baked on finish, they are the ideal choice for use outdoors (including salt air environments). They stand up better over time. Aluminum uniquely does not tarnish or rust. By contrast, there are some ‘hidden costs’ of a stainless steel receptacle produced abroad. Stainless steel is often more expensive than aluminum. The finish on stainless steel readily shows fingerprints and streaks. “It is also difficult to maintain a clean appearance, even employing the best steel cleaners on the market. Steel requires constant maintenance,” says Robert Glass, Plant Manager at Glaro Incorporated. Hours of janitorial staff time is lost maintaining stainless steel receptacles. Decreased productivity and higher maintenance costs drive up the long term cost of a stainless steel receptacle. To keep inventory levels and MSRPs under control, many foreign made receptacles are available in a very limited selection of finishes. Customization such as adding logos and unique messages is logistically difficult because of the long production and shipping timelines that are required. Many domestic receptacle manufacturers such as Glaro Inc. do just the opposite. Variety and selection are priorities when it comes to finish options. The range of ‘looks’ that can be achieved by selecting from 29 smooth and powder coated finishes as well as two satin all-metal finishes is immense. As a result, a receptacle can match almost any décor and become an important visual element in any room. For example, Glaro Inc. receptacle finishes on tops and bodies can either be mixed or matched. Aluminum is often used as the cover of a receptacle with a different color painted body made of heavy gauge steel. Or, receptacles can be all aluminum, presenting a clear, satin aluminum or satin brass finish. Custom messaging and logos can be added as well without delaying shipping timeliness. The number of combinations is virtually limitless. For many distributors, this empowers them to compete better in the market and meet their own customers’ demands. As a distributor, if you order from abroad there is often a minimum of 12+ weeks wait time. Shipments are subject to manufacturing delays, labor force strikes, and bad weather, to name a few, that can result in late deliveries. If you are a distributor serving your own customers, are you able to wait that long? Or, will you be required to warehouse items to control shipping timelines? Will you be required to purchase a minimum of one container to place an order? These types of restrictions could hurt your ability to win a bid and compete. Foreign receptacles are also very expensive to ship because they have a large cubic footprint combined with a low density of actual product per box. As a result, prices tend to be relatively high for the actual quality of the product you are ordering. A more practical, cost effective approach is to purchase from a reliable domestic receptacle manufacturer that promises quick shipping and drop shipping. Domestically manufactured products can be shipped quickly (Glaro Inc. ships in 1 to 3 days on average) and do not require you to take on the cost and financial risk of warehousing your own inventory. 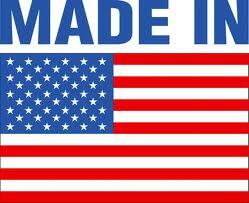 For these reasons, companies across North America are increasingly purchasing from American manufacturers who truly manufacture receptacle products in the United States.